Pledge Sunday is November 12! The following letter was mailed out on October 27 – if you did not receive one and would like to pledge, please contact Nancy Gale at rgaile1378@charter.net or 860-974-1378. What is the strength of our church? Our strength comes from God, who made heaven and earth. God calls us together to be the Body of Christ. All of us, this diverse group of people – men and women, old and young, gay and straight, people of all races, backgrounds, opinions, and cultures – have come together to be messengers of God’s love, hope, and peace. We can see the many ways our congregation reflects God’s compassion and caring. In the coming weeks we will celebrate the joy of our Sunday School children, exuberance of our Children’s Choir, dedication of our Youth Group, beauty of our Music Ministry, fellowship of our Men’s Group, Ladies Benevolent Society, and Bible Study Group, and the outpouring of caring by our Missions Committee and Prayer Shawl Ministry. Like colors of a rainbow, these different parts of our church form a beautiful whole. God’s love is made visible when we live and work together in unity. Now it is time for us to support our church. 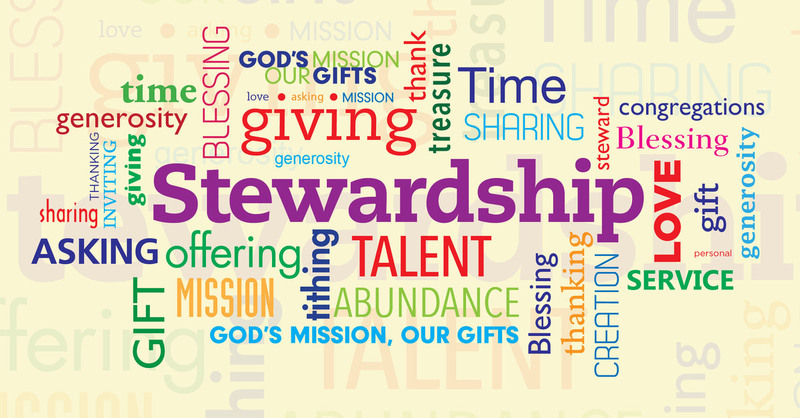 We ask everyone to make an annual pledge in support of our active, far-reaching ministry. This is your estimate of how much you will be able to give to our church in the coming year. Your pledge enables our trustees to set a balanced budget. Your support – your financial donation and your time and talents – are vital to the life of our congregation. Every pledge counts; we appreciate every gift. You may make a pledge for a weekly or monthly amount. You may choose to bring your offering to worship on Sunday or to use our Electronic Fund Transfer option (more information is on a separate sheet). Pledge Sunday is November 12, 2017. In order to receive your envelopes for 2018, please mail the enclosed pledge card or place it in the offering plate by November 12. Let us allow the Light of God to shine through us as we work to share God’s Good News near and far. Together, we can use our gifts and spread God’s hope. WHAT: Electronic Funds Transfer – once or twice a month your pledge is automatically transferred from your bank account to EWCC. HOW: Contact Nancy Gale, Collector rgale1378@charter.net or 860-974-1378 – or speak to her during coffee hour! WHY: No check-writing. One less thing to think about on Sunday morning! The church can count on income to pay ongoing expenses even while you’re away on a cruise or visiting the grandkids! The Collector will thank you for shortening her recording time. Society folks will thank you for being able to create and track the church budget in a timely, efficient and realistic manner. EFT authorization forms are available at any time if you wish to choose this option. YOU CAN TRANSFER ON THE 1ST OF THE MONTH OR THE 15TH OR BOTH. YOU CAN START ANY TIME OR MAKE CHANGES IF THERE IS A CHANGE IN YOUR SITUATION. You can now make a contribution to East Woodstock Congregational Church with a quick text message! Simply send a text to 860-357-6119 with the amount you would like to contribute. Make sure to include the dollar sign before the amount. Example: $25. Within a few minutes, you’ll be sent a text with a link to register. Click on the link and enter your cardholder name and credit or debit card information. Once your registration is complete, you will receive a text verification and a receipt via email. For future giving, simply send a text with the amount you wish to give, and it will process automatically! Giving by text can also be specific to special funds. Enter the dollar amount, a space and then the fund name. Example: $25 Columns. To get a list of funds, just text Funds to the number above. Texting just a dollar amount will automatically go to the General Fund.